Anyway, there are other ways to relive the glory days of 90's television, as well. 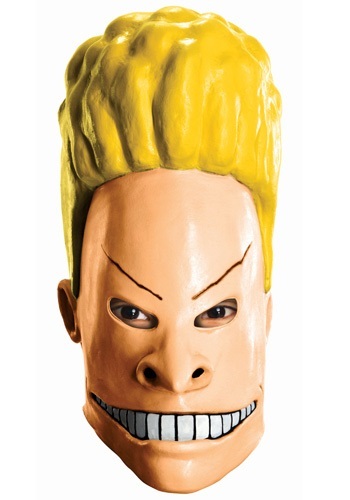 Take couch surfing while wearing this Vinyl Beavis Mask, for example. When you're sporting this dashing mask, you'll look just like the tall haired, hyperactive half of the infamous cartoon duo. Wear it with a sweet heavy metal t-shirt, and you'll be ready for a full day of TV watching, lighting fires, and getting chicks. It's gonna rule!